Thirty years ago legendary light heavyweight world champion Henry ‘Razor’ Sharp (Sylvester Stallone) retired from boxing on the eve of what would have been the biggest and most profitable fight of his career. His opponent, fellow former world champ Billy ‘The Kid’ McDonnen (Robert De Niro), has never been able to live that moment down, feeling as if his entire career is under a cloud because the bout never took place. After running into one another at a shoot for an upcoming video game, it’s immediately apparent the passage of time has done nothing to quell the hatred and loathing one former fighter holds for the other. Promoter Dante Slate, Jr (Kevin Hart) comes up with the novel idea of scheduling a penultimate grudge match between the two 60-year-olds. While both are without question past their respective primes, the thirst to see them square off surprisingly still exists, and with the prospect of a surprisingly large payday too much for the currently down on his luck Razor to pass up he agrees to face off against his nemesis The Kid one last time. What’s there to say about Grudge Match? 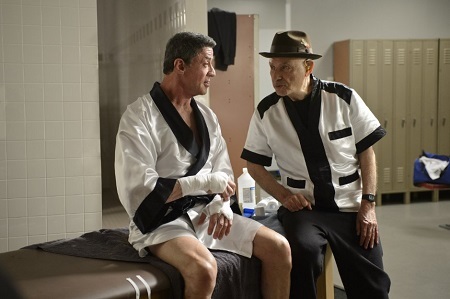 On the plus side, both Stallone and De Niro take all of this silliness far more seriously than anticipated, both forgoing the channeling of their Rocky and Raging Bull personas in an attempt to construct distinct, somewhat original characters in their stead. The former, in particular, wanders through the picture with a self-effacing naturalism that’s moderately enchanting, his easygoing demeanor having an authentic gravitas that’s undeniably pleasing. But other than that I’m hesitant to heap too much praise on this sports comedy, the movie not so much devoid of ideas as it is perfectly content to present a series of obvious ones that transpire in a fully preordained and a completely anticipated fashion. Director Peter Segal (Get Smart, 50 First Dates) is more than comfortable to let things play out as familiarly as possible, while screenwriters Tim Kelleher (First Kid) and Rodney Rothman (the upcoming 22 Jump Street) seem totally content keeping things as staid and as rudimentary as they can. 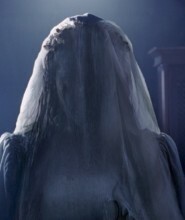 Not that this makes the movie a bad one, it just makes it instantly forgettable, and while I never minded the time I spent in the theatre watching it just as importantly as soon as it was over I had trouble recollecting anything about it I actually enjoyed. 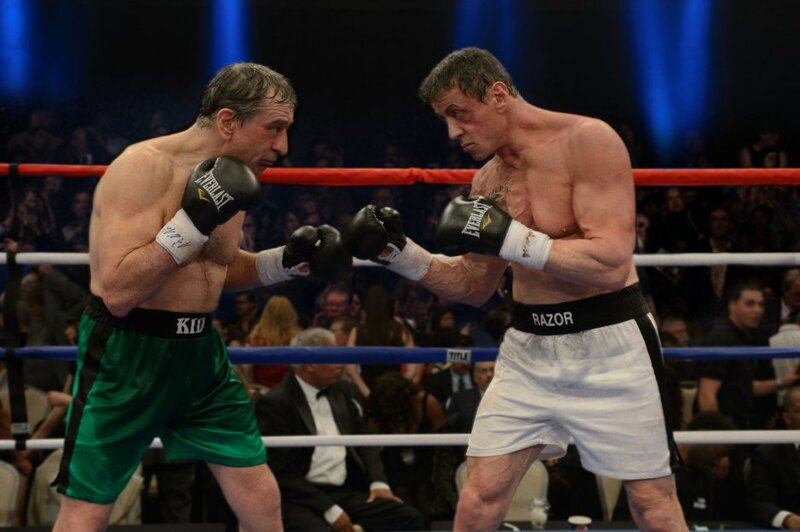 It dissipates from memory the moment it comes to an end, and other than the slightly queasy memories of De Niro and Stallone pounding on one another in the ring there’s not a lot about the film I can recall in any kind of discernable detail. That’s not entirely true. I did like Jon Bernthal one heck of a lot, his presence more often than not forcing me to take a greater stock of what was taking place than I probably would have otherwise. Portraying Kid McDonnen’s long-lost son, the former “The Walking Dead” star does a grand job of mining emotions the script hints at but never makes too much of an effort to explore. He brings a complicated gravitas to the movie that’s moderately surprising, and while nothing of real merit or any sort of innovation happens between he and De Niro the pair still manage a nice, somewhat withered masculine chemistry that fits their respective characters nicely. As for the rest of the supporting cast Alan Arkin (playing Razor’s best friend and former trainer ‘Lightning’ Conlon) and the energetic Hart do a fine job of basically playing themselves, while Kim Basinger reminds how smoothly seductive a presence she can be when the actress sets her mind to it. 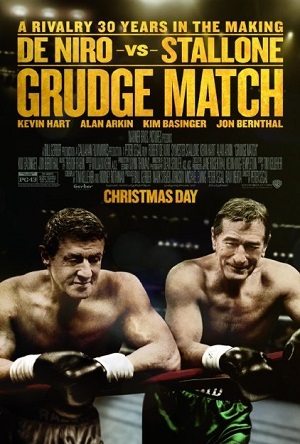 But as good as all of them are, and as agreeably as Stallone anchors things, Grudge Match hardly matters when taken as a whole, the punches it lands devoid of power and strength sending the audience down for the count long before the bell for the opening round is rung.